Emily Wilson-Sawyer is seasoned communications professional with 15 years of experience. She has worked as a marketing and media liaison for international hotel brands, world famous chefs, independent luxury properties, niche travel brands, various food products, restaurant chains, technology start-ups and more. 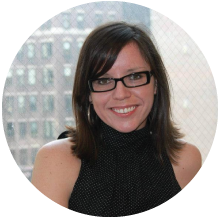 She is currently a Vice President in the Consumer practice at Allison + Partners which was recently named Midsize Agency of the Year by PR Week and 2015 Most Innovative Agency of the Year at the SABRE Awards. Emily leads clients including Sony, Retailmenot.com, ArcLight Cinemas and more.